HELLO! WE ARE THE IMAGE MAKERY. In this visual age we are told we have less than three seconds to make an impression. As business owners we are aware that our resources are limited and options need to be simple and easy. With this in mind, The Image Makery brings you a curated library of beautiful royalty-free imagery to instantly elevate your brand. Our captivating visuals are the result of a collaboration between stylist Sandra Chau, and photographer Trish Chong, created to help you achieve a professional consistency through your social, digital and print content. With less time spent trying to create the perfect image, and more resources to funnel into building your dream business, The Image Makery is the the answer you have been waiting for! Trish has been capturing stories of love and life for more than a decade through her Tealily Photography brand. Using a mix of digital and film mediums, her imagery seeks to find beauty in the everyday. 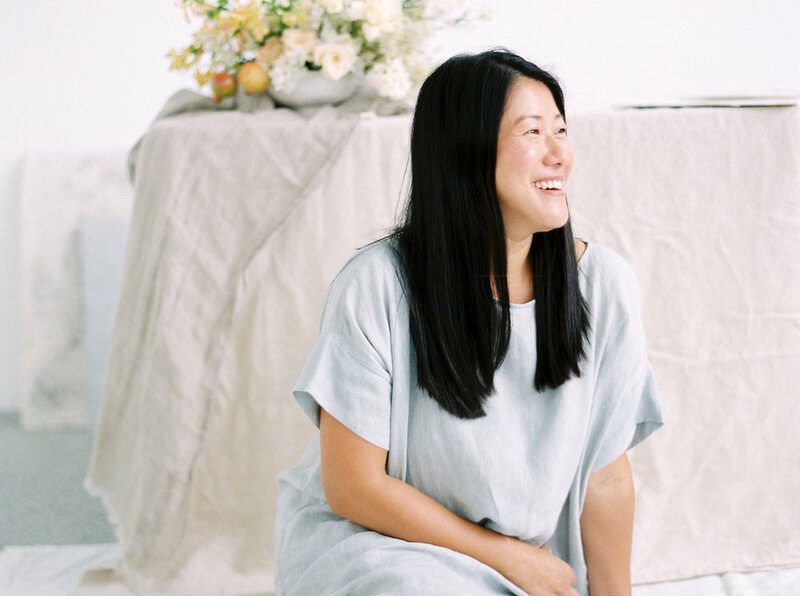 She is constantly intrigued by small businesses and new ideas, while holding a soft spot for the old-fashioned and the tangible, torn between the call of the slow life while being planted in this continually evolving digital age. Married to her high school sweetheart, she is a mum of three and an avid memory keeper of her own family life. When not working, Trish thinks Sydney’s coffee and brunch scene in good company is pretty hard to beat, as is a trip to the beach with her family, or a quiet evening spent curled up inside a good book. Sandra is a stylist and creative director. She designs, styles and provide creative direction for businesses, editorials, campaign shoots and workshops with an emphasis on curating not only beautiful details, but also a memorable experience for her clients and their audience. She believes the details are nothing without the story and relationship behind the photos and sets out to help businesses create cohesion and beauty in their brand, products and services through beautiful intentional imagery. Sandra is also a mum of three and when she’s not making things look beautiful, you'll find her hanging out with her husband and three little misfits in Sydney, Australia.